The Illuminatea Matcha Pistachio Crème Spread Is What Every Matcha Lover Needs - EAT WITH HOP! I NOW BELIEVE IN THE ILLUMINATEA, AND YOU SHOULD TOO. 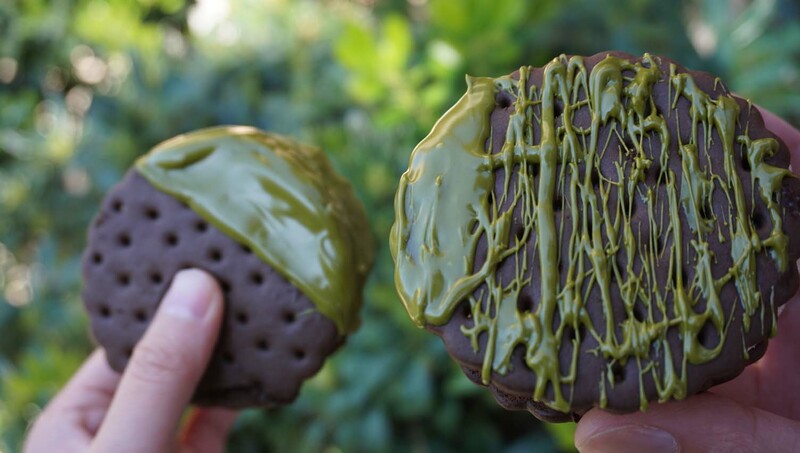 WHY EVERY MATCHA LOVER NEEDS THIS! O MY GOSH. I FELL IN LOVE. I wasn’t sure what to expect. Would this be matcha enough for me? Or would this be a disappointment (which has happened with other products before)? My standards for matcha are quite high already. And the ILLUMINATEA Matcha Pistachio Crème exceeded my expectations! 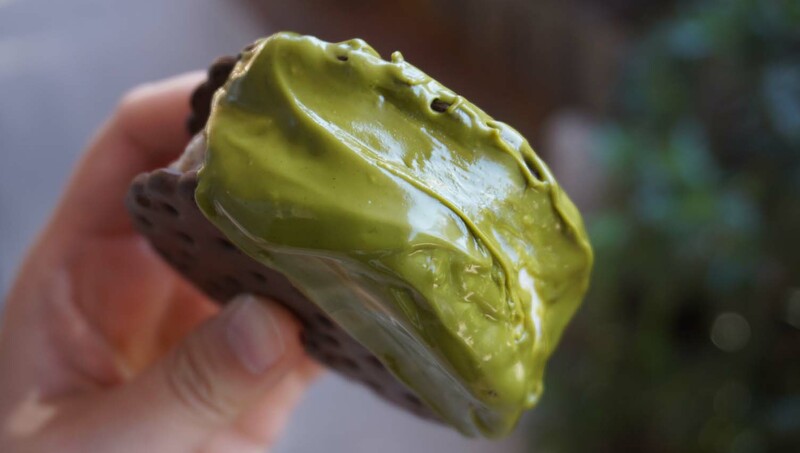 It is creamy, a bit nutty, not too sweet, and most importantly very very matcha. Just a bit of this is powerful enough to send your taste buds to matcha heaven. I had Kevin and our other friend Alexis try this matcha pistachio crème and we were actually very surprised by just how flavorful it is. Just a drop is potent enough! But we are all greedy and need more than just a drop. So we ended up finishing the 8 oz jar quickly. If you happen to fancy the matcha + pistachio combo, this may not be the right choice. This crème spread is definitely much more matcha than it is pistachio at all, flavor / taste wise. I actually don’t like pistachio flavored things so was a bit hesitant on this product. But, it tastes exactly the way I like! I mean...LOVE! When using this product as a spread on food like croissants, fruits, bread, ice cream, etc., the matcha flavor is powerful but you will most likely not taste pistachio at all (Like my friend Alexis). But if you just lick this oh-so-delicious crème by itself, you will taste a bit of nutty pistachio. But just a bit. This is available online for $21. (It is also sold at Midori Matcha in Little Tokyo LA but idk what price.) The price may seem a bit steep, especially for a relatively tiny 8 oz jar of spread. And you know, pistachios are expensive to grow as well. And matcha isn’t cheap either But this is truly the case where price and quality match(a) up. Heck, I am buying more (sorry bank) because this is such a well-made spread and is great for gifts too. It is possible to use this sparingly because each tablespoon is packed with flavor. But who am I kidding… of course I am going to be swimming in this!! And you might too! The jar itself can last up to 6 to 8 months once opened. Each tablespoon of this bad boy has the same amount of matcha as ¾ serving of prepared matcha tea! Dang! It’s also made right here in California using only natural flavors, no artificial colors and no preservatives. To compare, there is another creme spread sorta similar to this from Korea called Osullok Green Milk Tea Spread which is $14 for 7 oz on Amazon. Full review on that coming soon! But long story short, the Illuminatea version is more nutty while the Osullok version has a milky / vanilla candy-ish after-taste probably because it has artificial flavors. Definitely refrigerate this once you open it! The consistency is smooth like Nutella, but it will sorta harden (not as flowy) when it’s cold or fresh from the fridge. If you left it in the fridge, make sure to let it thaw for at least 30 minutes so it will be flowy and creamy again and easy to spread! Dip it with your fruits! I tried it with strawberries and it tasted AMAZZZZZING! I don’t recommend it on toast because I feel like it’s such a waste of spread. Instead, try it on waffles? Croissants? Cupcakes? 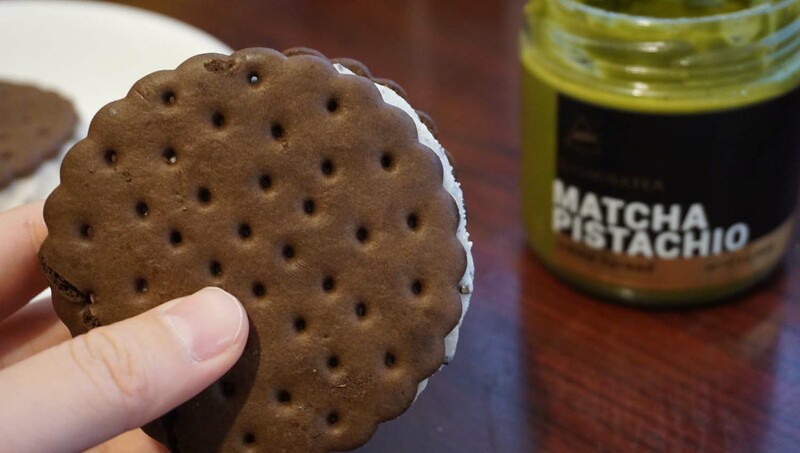 The matcha pistachio crème spread goes great with ice cream too! Follow them online to get updates! And more ideas and inspiration on what to eat it with! I am currently giving away one jar of illuminatea matcha pistachio spread to one lucky winner! Anyone from the United States can enter! So if you happen to be a Taste Bud that isn't in California, you can also have a chance to win too! To enter, you must have an Instagram account. Click here to enter! Winner will be announced on May 27, 2018 around midnight.